Do I Need A TV Aerial For My Smart TV? Here is a subject, that isn’t as straightforward as it seems.You’re probably wondering how a whole blog post could be dedicated to answering what seems to be a yes or no answer. I can assure you that it isn’t as simple as that as I will explain. I have divided this blog into a few sections, it may seem to jump from one part to another but if you pay attention to the headers you should find the parts most relevant to you, but I do advise that you read the whole thing for a clearer picture (metaphorically speaking). Can I Watch Live TV With No Aerial On Smart TV? If you do not have a TV aerial and wanted to watch Freeview in the UK or Soarview Ireland through your new Smart digital TV connected to the internet via WIFI or Ethernet cable. I’m afraid that you wouldn’t be able to do this. Freeview is a service that delivers live TV via a TV aerial and is not yet currently available over the internet. The same is true for Freesat TV’s without a satellite dish connected. The live TV function would not work. What you will be able to do is to watch catch up TV or TV on demand. Depending what TV you have, the services that you can receive will differ. 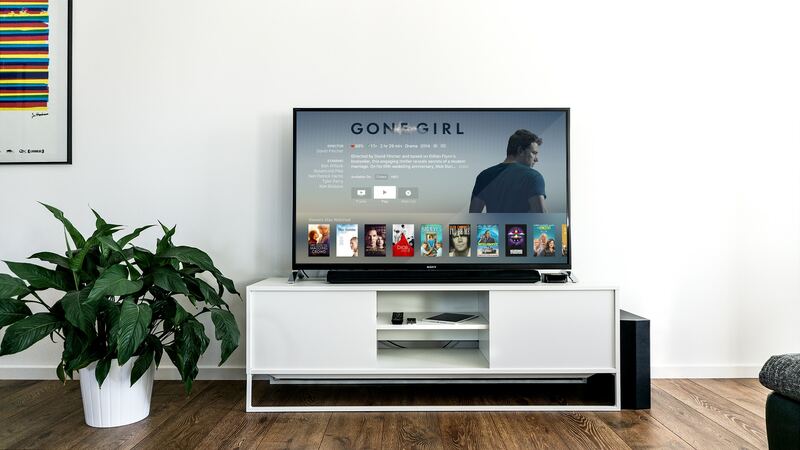 Most Smart TV’s in the UK will have BBC iPlayer, ITV Hub, All 4 and 5OD, often together with services like Youtube and subscription based services such as Netflix & Amazon Prime. The offerings are not always the same but we are coming to a point where the majority of new TV’s are offering all of the above services, but please do not assume that because your TV is “Smart” that you will be able to receive them all. I once had an early Sharp Smart TV that didn’t have iPlayer so the customer couldn’t receive it. I had a job explaining that one to her! 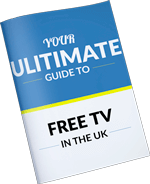 It is also worth mentioning that many of the Smart TV’s out there with integrated Freesat and satellite tuners use the Freesat platform for their Smart TV portals. As there was a dispute over carriage fees that Channel 4 were to pay to the BBC and ITV to broadcast on Freesat, Channel 4 removed All 4 from the Freesat platform, as well as channel 4 HD. This means that if you have one of these TV’s that even if All 4 appears on your apps, you will not be able to receive it. To summarise, if you wanted to watch live TV like BBC1, BBC2, ITV etc then you would need either an aerial or satellite dish at the time of writing this. Will My Smart TV Work Without An Aerial For Steaming? If you’re not bothered about live TV, like many youngsters are. I think many of the youth of today don’t understand why is so popular as you can now just pick and choose what you want to watch on things like Netflix which is now available on Sky Q by the way. You could just connect your Smart TV to the internet and away you go. You will be able to access services like Youtube and so on. You SHOULD also be able to access services like iPlayer, ITV Hub etc no problem. I say “should” instead of “will” as this isn’t always the case as many people have found to their peril and I discuss in the next paragraph. You may have your TV connected to the internet, have services like Youtube working fine and for some reason you can’t get the main terrestrial TV catch up services to work. A reason that this could be is because you have no TV aerial connected! I know that this seems bizarre when you consider that you do not need a TV aerial for iPlayer to work on a BBC and in fact you can’t actually connect one to your smart phone, so why should you need one for a Smart TV. The answer is because that many of the Smart TV’s use the TV aerial to identify your geographic location. I can’t say this for certain but I’m sure that it’s to stop non-UK TV licence payers from accessing iPlayer abroad, which despite geo-blocking being possible over the internet could be overcome by using a VPN service. I have had this problem with a Sharp TV, Toshiba TV and recently with an brand new LG TV which used the Youview platform for its online service. I did overcome this by holding a loose TV aerial roughly pointing at the nearest TV transmitter in Hastings whilst it completed it’s first time installation and TV tuning process. After it completed this I dis-connected the TV aerial as the customer didn’t want a loose aerial in her lounge, especially since we had just professionally mounted her TV and hidden all the cables and all the services worked fine. So this could be a potential solution for you. If you have this problem and do not want an outside TV aerial installed and are not bothered about live TV. I can’t believe that I’m condoning the use of one but you could plug an indoor set top TV aerial and hopefully the TV will get the information it’s requires. This won’t work in all locations but if it does and if you’re lucky you could just dis-connect the set top aerial afterwards. I didn’t think that it would be right to discuss Smart TV’s and streaming video without discussing the best way to connect it. I absolutely where possible to connect your TV to the internet with a dedicated ethernet cable. This will maximise your broadband speed and performance, so the streamed video will be far less likely to buffer. This is especially important where streaming high bandwidth service such as HD and 4K video which require a faster internet speed to work properly. Sure, WIFI is more convenient but a wire wins everytime. I have a video test on our Youtube channel which shows broadband speed comparisons between a wired and wireless connection on an Xbox One. If you’re looking for a Smart TV set up service or a TV wall mounting installation in Sussex and South Kent please do get in touch today for an unbeatable service. If you have any questions as a result of this blog, please LEAVE A COMMENT in the blog comment section below. Please DO NOT CALL our telephone lines, we don’t have the capacity to deal with all the enquiries that we receive. Please DO NOT E-MAIL as well as I cannot manage all the separate questions that I get asked. If you LEAVE A COMMENT I will get back to you ASAP and also everyone reading the blog will get the benefit of the question asked and the answer given.